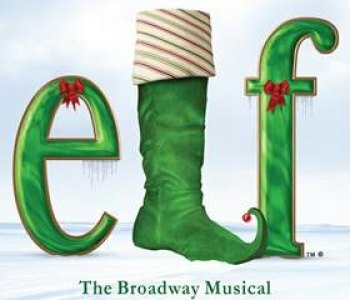 (HUNTINGTON) — Hoops Family Children’s Hospital (at Cabell Huntington Hospital) in cooperation with the Marshall Artists Series is thrilled to invite families, friends, and children of all ages to the Broadway musical, ELF, at the Keith Albee Performing Arts Center in Huntington, Monday, Nov. 17 @ 7:30 p.m. This theatrical Holiday performance will grip the audience with cheerful dance and song as they sit back and watch Santa and his elves help the abnormally large elf and star of the show, Buddy, on his adventure through his exploration to find himself and bring the genuine Christmas spirit back to New York City. Each member of the audience will have a magical experience and feeling of nostalgia as they are thrown back into their childhood fantasy of wanting to be a part of Santa’s joyful toy-making operation. ELF is the hilarious tale of Buddy, a young orphan child who mistakenly crawls into Santa’s bag of gifts and is transported back to the North Pole. Unaware that he is actually human, Buddy’s enormous size and poor toy-making abilities cause him to face the truth. With Santa’s permission, Buddy embarks on a journey to New York City to find his birth father, discover his true identity, and help New York remember the true meaning of Christmas. This modern day Holiday classic is sure to make everyone embrace their inner ELF. Based on the beloved 2003 New Line Cinema hit, ELF features songs by Tony Award nominees Matthew Sklar and Chad Beguelin (The Wedding Singer), with a book by Tony Award winners Thomas Meehan (Annie, The Producers, Hairspray) and Bob Martin (The Drowsy Chaperone). The production will feature direction bySam Scalamoni and choreography by Connor Gallagher. Daniel Patrick Smith will sing, dance, and entertain in his star role as “Buddy.” The show will feature actors and actresses: Daryn Harrell (Jovie); D. Scott Withers (Walter); Allison Mickelson (Emily); Audra Qualley (Deb); Travis Mitchell (Mr. Greenway); Mark Fishback (Santa); and Arthur L. Ross (Macy’s Manager). Matching the cast in Christmas cheer, the ensemble members to perform are Sissy Bell, Meghan Glogower, Shane Hurst, Ashtia Jewell, Jennie McGuinness, Elyse Niederee, PJ Palmer, Hillary Porter, Jonathan Ragsdale, Tory Ramirez, Shaun Repetto, Adrienne Storrs, Jordan Weagraff and David Wiens. Tickets can be purchased at the Marshall Artists Series box office, located in the Joan C. Edwards Playhouse on Monday through Friday from 12p.m.- 5p.m. Ticket prices are $93.95/$77.90/$67.20/$60.78.